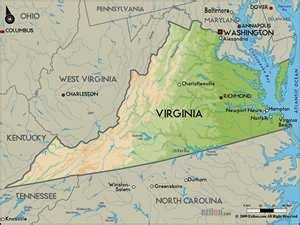 In Virginia, a state Barack Obama won by 4% in 2012 and 6% in 2008, the statewide races feature Tea Party favorites running on the Republican ticket. In the governor's race, both the Democrat Terry McAuliffe and the Republican Ken Cuccinelli have large negative ratings, but the basic math of the electorate says one thing clearly. The Republicans are the minority party in the land. They've lost two presidential elections in a row, they don't hold the Senate and got less votes across the country in last congressional election, holding onto the majority in large part due to gerrymandering. 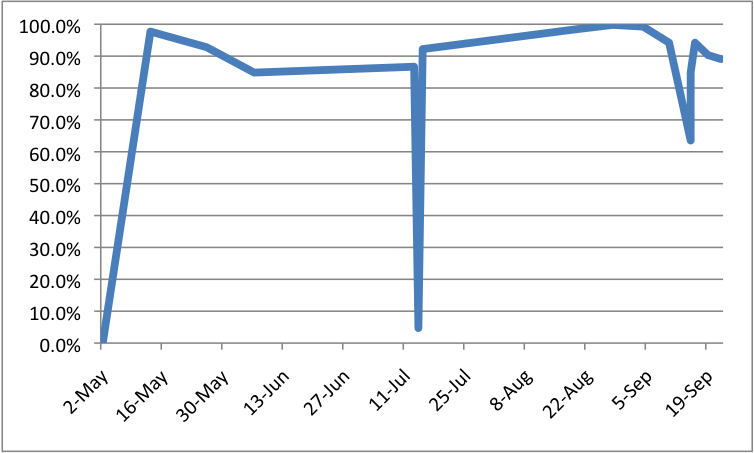 For all that, the needle is moving slightly for Cuccinelli if we give all polls the same weighting. Here are the Confidence of Victory numbers for recent polls, given by company name and date of poll. All give McAuliffe the advantage. The good news for Cuccinelli: McAuliffe isn't cruising above 95% anymore and Quinnipiac, still crowing over calling the NYC comptroller race all by themselves with their new likely voter model, says the race is getting close, but still isn't really close. 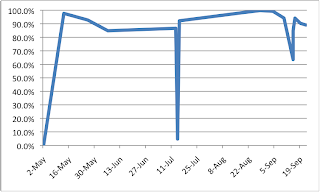 The bad news for Cuccinelli: You see those two big dives downward in the graph, the one in May and the second in July? The first was a Washington Post poll and the second was a Roanoke poll. The only polls that have had Cuccinelli ahead now have him behind. The election is still about seven weeks off, which means my system is not built to make a prediction, but the small gains Cuccinelli has made are not what he needs. Romney was in a similar situation and saw some small gains after Obama's poor showing in the first primary, but those faded quickly enough. Cuccinelli needs something bigger than we've seen so far to close the gap, and appealing to the Republican "base", such as it is, is a step in the wrong direction right now. More updates when I get more data.